and live with plants and trees. - the production of glucose (sugar), which provides the basis for most food chains in nature. - the production of oxygen which we need for survival. The leaves of plants are photosynthesis factories. While the sun is shining, green plants (it's the chlorophyll) absorb the light energy. This mixes with water present in the leaf and carbon dioxide (which has entered the leaf through stomates by diffusion). There's the chemistry - boom - while we are sleeping glucose and oxygen are being produced. Carbon dioxide is being used up and oxygen is being released into the atmosphere (by diffusion via the stomata). "During photosynthesis in green plants, light energy is captured and used to convert water, carbon dioxide and minerals into oxygen and energy-rich organic compounds". Photosynthesis is what helps to lower carbon dioxide levels (increasing levels of CO2 seem to go hand in hand with rising global temperature). Photosynthesis decreases the concentration of carbon dioxide and other harmful industrial wastes that lead to respiration problems in us living beings. We can't eat or breathe sunshine but our wonderful green leaved plants produce what we can eat and breathe! And act as an air purifier. So, If you have eaten plants today (like fruit, vegetables, or cereal) then the energy in them was obtained from the sun – using photosynthesis! If you've eaten meat then it was an animal that ate plants (or an animal that ate animals that ate plants). And if you have plants in your enviro - you have more OXYGEN! It really is amazingly simple! A deeper meaning to the words - GO GREEN. Go green inside your home. Indoor air can be stagnant and studies have shown it can be more contaminated than outdoor air. It's the stuff we use, burn and allow into our homes that compromises our air quality. If you live near traffic indoor plants will help your indoor air quality. Open your windows during the night and in the early hours before peak hour. It is important to keep plants healthy to maintain their carbon monoxide processes within the home. Plants will impact your air quality due to the fact of photosynthesis - decreasing carbon dioxide and increasing oxygen. 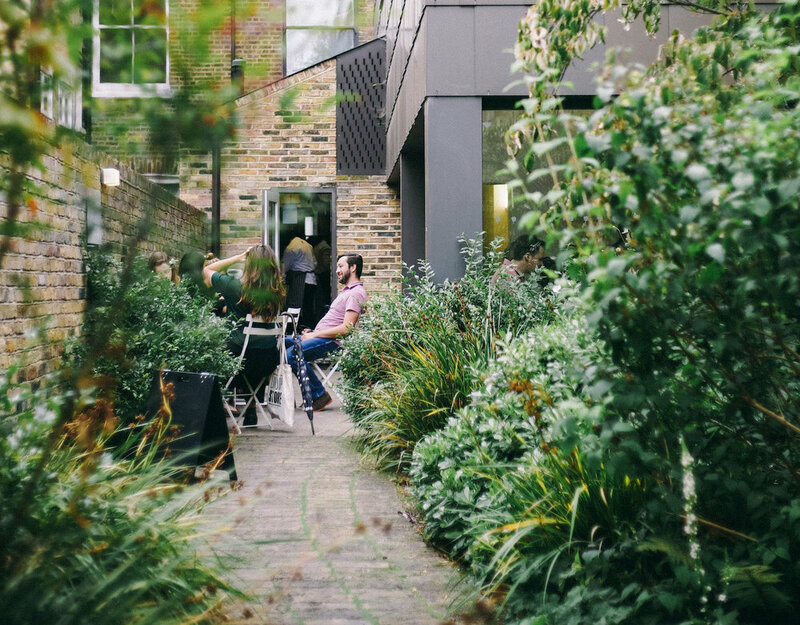 Your plants will need fresh air and sunlight to do this effectively so ensure your windows and their coverings get opened during daylight hours. In darker homes purchase low light plants such as Spider plants. They are able to perform photosynthesis under minimal lighting. They aid in absorbing toxins in the air including formaldehyde, styrene, carbon monoxide, and benzene. 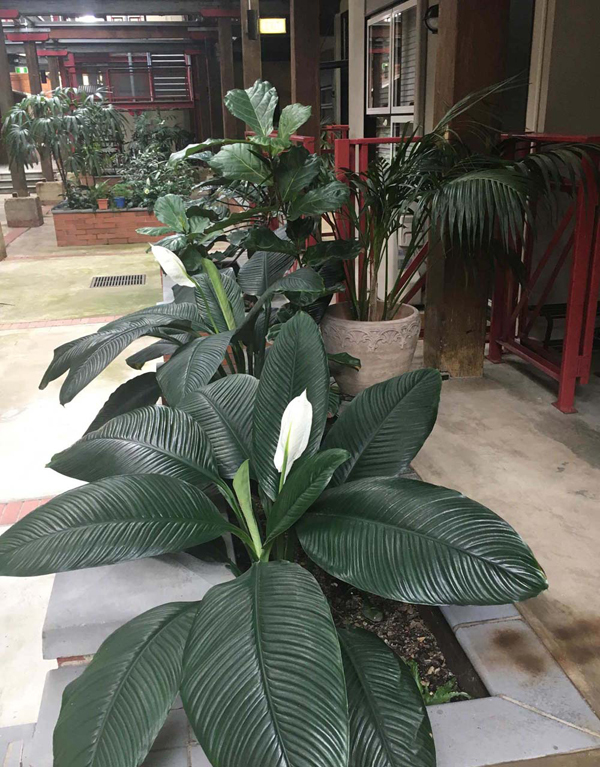 In their publication, Indoor Plants Work, Dr Fraser Torpy, Faculty of Science at UTS (University of Technology, Sydney), Plant and Indoor Environmental Quality Research Group, list the following benefits (focusing on the workplace). Contribute to meeting at least 75% of Indoor Environmental Quality (IEQ) criteria" (Criteria list: NSW Gov. Workplace Guidelines, 2010)." And further say..."It looks like any normal indoor species will remove VOCs. Any green shoot, with adequate light, will remove carbon dioxide and release equal amounts of oxygen - two-way refreshment. Another study was done by NASA back in the 80's. This were carried out in a sealed experimental chamber during a 24 hour exposure period - the results gave evidence to the removal of toxic substances. Toxins tested were formaldehyde, benzene, trichloroethylene, xylene and ammonia. Check out this website for a great visual graph of the findings. The leader of the NASA Study said “Plants take substances out of the air through the tiny openings in their leaves, but research in our laboratories has determined that plant leaves, roots and soil bacteria are all important in removing trace levels of toxic vapors”. "Plants in space are beneficial for a number of reasons. They provide nourishment for the body when eaten as food, and they improve the quality of indoor air. Plants take the carbon dioxide from air to produce oxygen that humans can breathe." TAKE CARE WITH PLANTS AROUND SMALL CHILDEN AND PETS. While some plants are toxic when ingested, some can cause an allergic reaction if you touch the stem or leaves or if your skin comes in contact with the sap or juice. For instance, the beautiful peace lily contains insoluble calcium oxalate crystals in bundles known as raphites, which are toxic to cats and dogs. These crystals get released upon chewing or biting the leaves, stems or roots and penetrate the pet’s tissue leading to injury. However, this plant was at the top of NASA's list when removing toxins. Position them out of the reach of children and pets, they are worth having. We have them everywhere in our building.